Going back to school or starting a new job this fall means acquiring the gear to make that huge life progression successful. This best gear guide includes the right professional backpack, backup batteries, cables, storage sticks and more. TCL 55” 4K HDR UHD 55P607 Smart TV: $379.99 – TCL makes several 4K HDR Smart TVs with all of the features one could want. This 55” Smart TV model comes with apps for most of the streaming services you already use. This TV also comes with an internal OTA (over the air) HD tuner. Simply attach a HD antenna to watch local channels for free, or stream your favorite shows from services like DirecTV Now ($40 per month), Hulu, Netflix, HBO, Showtime, and more. This Smart TV has the Roku system embedded along with all of their apps for thousands of streaming options. For everything else, there are multiple HDMI ports to attach other media players like the Amazon FireTV or Apple TV 4K. SanDisk iXpand 128GB Lightning USB Flash Drive: $65.85 – Storing full sized photos and 4K videos on your iPhone will fill it up fast. I find a way to fill up my 64GB iPhone several times each month. My apps and system take up nearly half of the storage, which leaves me about 30GB for everything else. I carry one of these storage gadgets with me on my trips to backup travel videos and photos. This gives me piece of mind that if my iPhone were to be lost or broken, I will still have my hard earned content. If I know ahead of time that I will be recording hours of video, I can record directly to the SanDisk iXpand flash drive and bypass having to transfer everything later. This is an essential backup and storage device for your smartphone and iPad. WaterField Designs Pro Executive Backpack: $349 + $49 (Executive Folio) – Going to a new job or school and want a backpack to look great for years to come, this one is for you. It has a signature golden WaterField Designs lining that can stand up to many years of frequent use, full grain leather accents and black ballistic nylon. Gaining access to its pockets through the sleek, waterproof zippers is always quick and easy. An optional Executive Folio, for a 13” or 15” laptop, fits perfectly in the main chamber. A back slot makes it easy to slip this Pro Executive Backpack onto suitcase handles and stands upright when it is set down. So if you are running through an airport with your carry-on or setting it down to get out your laptop, this backpack will not fall over and dump out its contents. 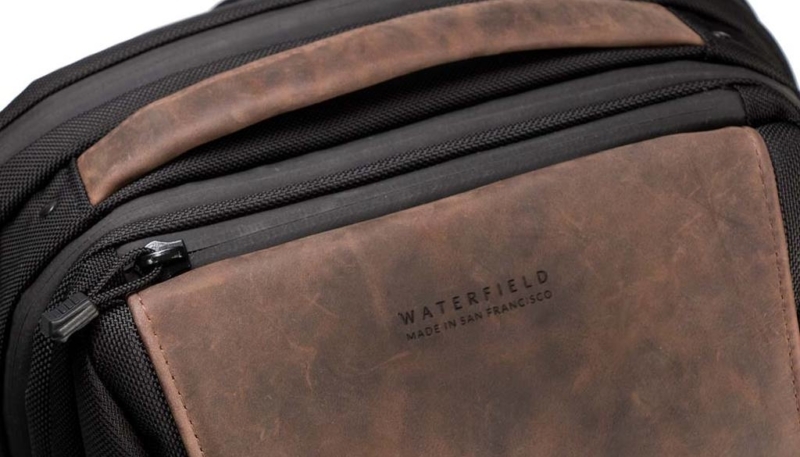 WaterField Designs is one of a few of companies that I know of which crowdsources what people want in their bags and travel gear, so they include only the most helpful features. That is what you can expect from a premium backpack with high quality craftsmanship, made in the USA. Dodocool USB-C to USB-C 3.1 10 Gbps Braided Cable: $12.75 – The reversible design of Dodocool’s USB-C to USB-C 3.1 braided cable supports high-speed data transfer of up to 10 Gbps and maximum charging power up to 100W (max 20V/5A). It is USB-IF Certified, which meets the USB-C manufacturer requirements. Those that need to output 4K video from a computer can do that with this cable too. A built-in E-marker chip enables a USB-C device with DisplayPort Alternate Mode to send videos to a USB-C compatible TV or display in up to 4K UHD. Dodocool rates this cable to have a bend lifespan of 4,000+. This is one of the most modern and versatile cables on the market today. Choetech USB-C 18W Wall Charger with Power Delivery: $16.99 – The newest iPhone X (Lightning to USB-C), Galaxy S9 and Nintendo Switch all use USB-C Power Delivery to charge. Get 18W Power Delivery via a USB-C cable with Choetech’s 18W wall charger. It comes with one port and is great to have as a spare for your other compatible gadgets. Dodocool Apple Watch Magnetic Charger with Braided Cable: $21.99 – When I first opened up my Apple Watch kit from Apple, there was a single lightly plastic coated standard charging cable and plastic backed magnetic adapter. This type of cable is not ready for travel or for extended use. Dodocool’s version of the Apple Watch charging cable is braided to stand up to bending and a magnetic adapter with a metal back. This is the cable and adapter that Apple should have included with the Apple Watch. BlitzWolf USB-C to USB-C 3’ Cable: $9.99 – Sync and charging cables are migrating towards the USB-C variety. Wall chargers and backup batteries are now offering power delivery via USB-C connections too. Switching from USB-A – USB-C cables to USB-C – USB-C is a good idea now and BlitzWolf brings quality with this shorter 3’ model. Use this in your bag with a smartphone and a backup battery or with a desktop charger. It comes with a nice Velcro catch to keep the cable wound up. BlitzWolf Nylon Braided Lightning 6’ Lightning Cable: $8.99 – BlitzWolf’s AmpCore Turbo cables are what Apple would make if they wanted their Lightning cables to last a lot longer than what is included with the iPhone and iPad kits. They are braided to help with lots of bending. People do all kinds of crazy things with their charging cables. Get the AmpCore Turbo Lightning cable that can stand up to everyday use and while traveling. Choetech 72W USB-C Power Delivery 4 Port: $34.99 – Desktop charging hubs come in all kinds of shapes, sizes and specifications. Choetech’s new desktop charger produces 60W of power via the USB-C Power Delivery port and 12W via its three USB-A ports for a maximum of 72W. This is enough to run a MacBook Pro, MacBook, iPhone X and more. Each USB-A port offers smart charging technology that identifies what each gadget requires up to the maximum. This charger is compact enough to use as a daily driver for your computer and smartphones. Anker PowerCore Speed 20000 mAh USB-C Power Delivery: $99 – Anker makes some of the best power banks on the market. Their design, quality and value add up to be a triple threat. This USB-C Power Delivery battery bundle comes with a 30W USB-C Power Delivery wall charger. Combined, the huge battery can recharge in about four hours. They rate it to produce up to 6 iPhone 7 charges. The battery can produce 22.5W to charge a 2016 MacBook. Use the wall charger to charge smartphones and MacBooks at high-speed. This battery also is designed to work with the Nintendo Switch too. Anker USB-C to USB-C Thunderbolt 3 Cable: $11.99 – USB-C cables are making their way into everyday devices we use from smartphones and laptops. Certain USB-C cable types, like this one, can handle so much more. It is compatible with rapid charging standards, with support up to 100W of power too. This cable can also handle up to 40 Gbps transfer rate for use with hard drive RAID towers, 4K video processing hardware and USB-C hubs. If your monitor supports 5K, this cable is necessary to make that happen. Or, use it to display 4K on two screens simultaneously. Amazingly, it is compatible with USB 2.0, USB 3.1 Gen 1, and USB 3.1 Gen 2 (at 10 Gbps). Use this cable to connect to SanDisk’s Extreme 1TB SSD, reviewed here. Anker 6’ Powerline+ II Nylon Braided Lightning Cable with Case: $17.99 – As soon as you get an iPhone or an iPad, do yourself a favor and buy one of these amazing Lightning cables. For nearly the same price as Apple charges for one of their basic versions, this one is rated to last up to 30,000 bends, supports 175lbs, can withstand tugs, tangles and twists, all with Apple MFI certification. A travel pouch is included with zippers on both ends, which allows for length adjustment on each end of the cable. Anker follows up their engineering with a lifetime warranty. Anker PowerPort Speed 1 USB-C Power Delivery 60W Wall Charger: $39.99 – USB-C only wall chargers are gaining popularity as devices, like MacBooks, smartphones, Nintendo Switch, Huawei Mate Book, power banks and more charge via USB-C. 60W is a lot of power and can work for devices with smaller power requirements too. The foldable plug makes this charger travel ready. It is robust, sleek and ready for future power needs of USB-C gadgets. Anker PowerPort II USB-C Power Delivery & PIQ 2.0 Wall Charger: $29.99 – Apple’s USB-C Power Delivery wall chargers are nice but most of use need more and do not want to pay a premium for that brand name. Instead, Anker’s PowerPort II wall charger gives you two ports, one USB-C with PD at 30W and a USB-A with PowerIQ 2.0 charging technology. It can fully charge a MacBook 2016 in two hours with its 30W USB-C PD port. Logitech Slim Combo Keyboard & Case for iPad Pro 12.9”: $149.99 – Equipping the largest iPad Pro with a keyboard and case can be difficult. Most accessory companies do not make a keyboard compatible with the iPad Pro Smart Connector and a case that fits with both devices. Logitech does and goes four steps beyond. The keyboard has backlit keys, is powered off of the iPad Pro battery, has smart iOS shortcuts and it provides a laptop-like typing experience. Because the keyboard does not need a battery, they have made it and the case thin but provide 360 degrees of protection. My favorite feature of this kit is that the keyboard easily detaches to allow me to sketch and draw with the Apple Pencil in portrait mode. Jaybird RUN True Wireless Bluetooth Sport Headphones: $179.99 – Fully wireless sport headphones are arguably more useful than the Apple AirPods. The RUN headphones from Jaybird are sweat-proof and water resistant. It comes with interchangeable ear tips and fins for a secure fit, even while running. When fully charged, these headphones last for four hours of playtime. The case includes an eight hour charge (12 hours total) and fast charging. Fast charging with these headphones is real nice. Charge the earbuds for five minutes for one hour of play time. If that was not enough, pump up the bass from the Jaybird RUN headphones through the Jaybird App. BlitzWolf 2-Channel 60W Bluetooth, Optical, HDMI Soundbar: $89.99 – The majority of flat screen TVs, including Smart TVs, produce ok sound quality from their thin speakers. The rise in popularity of the soundbar for these TVs make sense. BlitzWolf’s 60W soundbar kicks out sound from six speakers for a room filling experience. It comes with a wireless Bluetooth connection, a 3.5mm auxiliary port, HDMI, coaxial, optical and a USB input. For the price and its simple single cable install, boost your auditory experience for your new Smart TV. BlitzWolf PowerStorm 10000 mAh QuickCharge 3.0 USB-C Battery: $23.99 – A 10k mAh backup battery is essential with all of the devices we carry everyday. BlitzWolf goes several steps further and includes a USB-C in and out compatible charging port, a USB-A port that is QC 3.0/2.0, Huawei FCP, Samsung AFC, BC 1.2, Apple and MTK PE 2.0 rapid and fast charging technologies. The USB-C port supports 5V/3A charging which is full speed for most of the USB-C smartphones. It can output a max of 18W for both ports. The USB-C port, with a 18W USB-C fast charging input can recharge itself in three to four hours at 9V/2A instead of the eight to nine hours with a 5V/1A wall charger. BlitzWolf wrapped the battery in a nice looking anodized aluminum case and provided intelligent charging LEDs that shows when fast charging is enabled. BlitzWolf 10000 mAh Wireless USB-C Battery: $19.99 – BlitzWolf makes a wireless charging battery with a USB-C power port and is the first with these technologies that I have tested. I like that the newest charging technologies are being combined with portable batteries at this size. That means one less device to take with on trips. The power bank is designed to look like it is wrapped in carbon fiber. 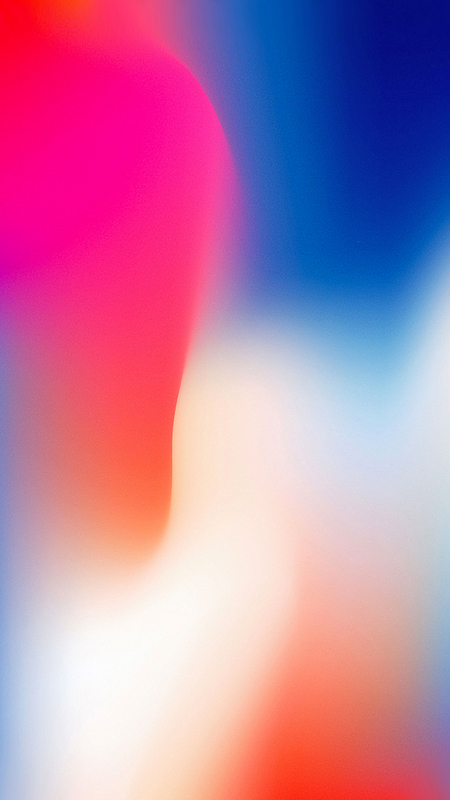 It looks like it belongs in a technology companies’ lookbook. This battery can charge a device wirelessly at 5V/1A, via its USB-C port 5V/2.7A and a USB-A port at 5V/2.7A. The only cons to this innovative battery is its wireless charging output at 1A (not fast wireless charging) and its USB-C output is not a full 3A (2.7A). It can produce a maximum of 15W of power. Focus on the new job or school after loading up on the best back to school gear I have outlined above. Favorite the best online video channel with the new TCL 55” Smart TV, buy an ultra-strong USB-C and Lightning cable for your smartphone, a USB-C Power Delivery enabled travel charger for your MacBook, a keyboard and case combo for your iPad Pro and pack everything in a WaterField Designs Pro Executive Backpack. Most of the gadgets have a strong value proposition with the added benefits of durability and longer warranties. Power banks with USB-C Power Delivery is where these gadgets are headed in the industry, so get one now to be ready for your next iPhone and MacBook purchases. Disclosure: Some of the above manufacturers supplied units at not cost for review or on loan. Some prices reflect current sales. All thoughts and opinions are my own.